Grace College & Seminary board member Raymond W. Monteith, 75, owner of Monteith Tire Co. of Warsaw, Indiana, died at 3:45 p.m. July 30, 2007, at his residence, 940 Little Eagle Drive in Warsaw. Ray was born Nov. 14, 1931, in Roberts, Wis., to the late Guy and Mary Monteith. He graduated from high school in Winona, Minnesota. He received a BA business degree from Macalester College, St. Paul, where he met his wife. Ray and Janis Lindor were married Aug. 8, 1953, in Wahpeton, N.D. Ray proudly served his country in the armed forces as a sergeant in the U.S. Army Reserve. After college, Ray began his tire career with Firestone Tire and Rubber Co. After 13 years of company sales and moving his family six times, he decided to make his family’s home in Warsaw. He opened Monteith Tire in 1966. In 2002, the Monteith Tire Co. received the Dimensions of Excellence Business Award from the Chamber of Commerce. Early on, he was president of the Lincoln School PTA, chairman of the 1971 United Fund Drive and one of the original board members of Riverwood Ranch (New Frontiers, Inc.) and Big Brother/Big Sisters. The following year, Ray was named the Man of the Year, presented by the Chamber of Commerce. Ray had an enthusiasm and talent for tennis. In 1976, he partnered with Joe Beeson to bring indoor tennis to Warsaw with the Warsaw Racquet Club. Ray was chairman of Primary Gifts for the Koscuisko Community Hospital Founders Fund Drive, and later on he was a board member of the K21 Foundation. Ray was a board member of the Warsaw Housing Authority, the Red Cross and InterComm Ministries. 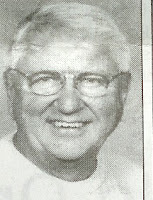 He was a recipient of the Hearts of Gold Award in 2003. In the pursuit of higher education, he was honored to be a Grace College Trustee, an Ivy Tech Advisory Board member, and the Ivy Tech Capital Campaign Group. He had a passion for young adults and created the seminar “Winners Build on the Basics” and had his last class July 5. Ray’s compassion for the Hispanic community led to the development and success of Sus Amigos. He and his wife, Jan, have been members of the Warsaw Evangelical Presbyterian Church for more than 40 years, where Ray taught Sunday school, started the Presby Preschool and was a ruling elder and held the distinction of elder emeritus. Survivors include his wife, Jan Monteith of Warsaw; two daughters, Mrs. Bill (Kerri) Gieris of Warsaw and Julie Monteith of Chicago; one son, Scott (wife, Lisa) of Indianapolis; four grandchildren, Michelle Fisher of Warsaw, Mrs. Brent (Jennifer) Rapsavage of Warsaw and Andrew and Lauren Monteith, both of Indianapolis; and two great-grandchildren, Ross and Alexa Rapsavage of Warsaw. Services will be at 10 a.m. Friday, Aug. 3, at Evangelical Presbyterian Church, Warsaw; with the Revs. Ron Horgan and Bill Burd officiating. Burial at Oakwood Cemetery, Warsaw. Visitation will be 3 to 7 p.m. today, Aug. 2, at the church. Memorials can be given to Warsaw Evangelical Presbyterian Church and Presby Pre-School, Sus Amigos and Intercom Ministries. To sign the guestbook or send condolences electronically, go to mchattonsadlerfuneralchapels.com. McHatton-Sadler Funeral Chapel, Warsaw.